When I was asked about my favorite shrimp sign, I immediately knew I would be telling the story of shrimp sign 13—downtown Pass Christian. My grandparents built a summer house on Sherman Drive in Pass Christian in 1935 – my mother was 16 then. My parents rented houses on the same street two summers in the 1950s. They decided to buy in 1958 and were shown a house on Sherman Drive. They bought it, and the rest is history! We moved from New Orleans to the Pass (this is what the locals call it) when I was 12. When I got married, I moved all the way to Long Beach, but my sister and her husband still live on Sherman Drive. Their children own property there and hope to build one day. The legacy continues! Cat Island Coffeehouse—Here, you can sit and enjoy the view of the beach and harbor, while sipping some great coffee. I love to browse through the vast book selection. Sometimes you will even spot a celebrity! My sister met Pass Christian native & Good Morning America anchor Robin Roberts here. Pass Christian downtown shopping district— This beautiful, walkable shopping district on Davis Avenue is one of the best parts of Pass Christian. A few of my favorite shops include Robin’s Nest in the Pass, the Purple Pelican, Pass Christian Olive Oils and Vinegars and Martin Hardware (where I’ve gotten crab nets since I was a child). Kimball’s Seafood—This fourth generation, family-run business is my favorite place to buy fresh seafood. Kimball’s sells their fresh catches right off of the boat in the Pass Christian Harbor. I frequently stop here to pick up fresh shrimp and fish! Shaggy’s— Across the harbor from Kimball’s is one of my favorite restaurants in the area—Shaggy’s. This original Shaggy’s location is the perfect place to bring the whole family for a meal with a great view, food and entertainment. When he was in high school, my son occasionally played music here. My family and I spent many relaxing afternoons here watching him and enjoying the open air. The Pink Octopus— This locally owned frozen yogurt bar is my favorite place in the Pass for a sweet treat. The best part is if you guess the weight of your yogurt, you get it for free! These are just a few of my favorite places in Pass Christian. Comment below, and let us know your favorite thing at shrimp sign 13! 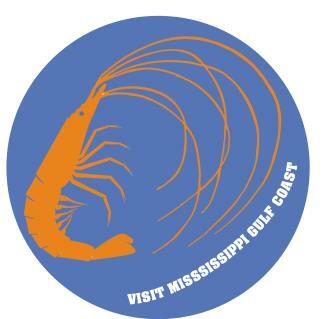 The shrimp sign directory can be found in the Visit Mississippi Gulf Coast dining and attractions guide.